Just need roof repairs and gutter enhancements. Job was done quick and easy. Straight Line Construction did everything they promised and were honest with my wife and myself in the process. Other companies were not as forthcoming about the work necessary to make our roof weather tight. Straight forward every time, no surprises and if any problems arise they are right on it. I was blessed to have found them!! Thank you all at Straight Line! I wish to thank your entire company for the excellent assistance given to my mother in repairing the rafters and replacing her roof and gutters that were damaged when a large, old tree fell on her fifty-five year old home. Your crew showed up exactly when you said they would, removed the old roofing, replaced all the damaged rafters and facia boards, and then installed a very attractive new roof. Also, your quality control manager was very helpful when he assisted me in picking the color of the roofing and facia gutters which turned out to perfectly match the existing color scheme of the house. Even the gutter down spouts were powder coated in a different color to match the side of the house. Thanks to the beautiful new roof installed by your company, mom’s home looks as though it is half it’s age and we know that the resale value has gone up as well. Also, thanks for the colored leaf guards; you can’t even tell they are there! So, Mr. Borba, thank you again for a job well done. Jim and I (Phyllis) had the pleasure of having our roof done by your company – Straight Line Roofing. We are very happy with our new roof, and we know that it will protect us from unwanted water damage. All of the workers who came to work on our roof were very good workers, and we are pleased with the finished project. Because of our good results, we were pleased to recommend your services to our neighbors and friends, John and Gloria Bruno. We know that they will be pleased with their roof also. Jim and I were greatly pleased to receive four gift certificates in the mail for Restaurants and for the Regal Theaters. We thank you so very much for this lovely gift of gratitude for recommending your company to the Brunos. Please be reassured that we will recommend your company to anyone whom we find out needs a roofing job done. 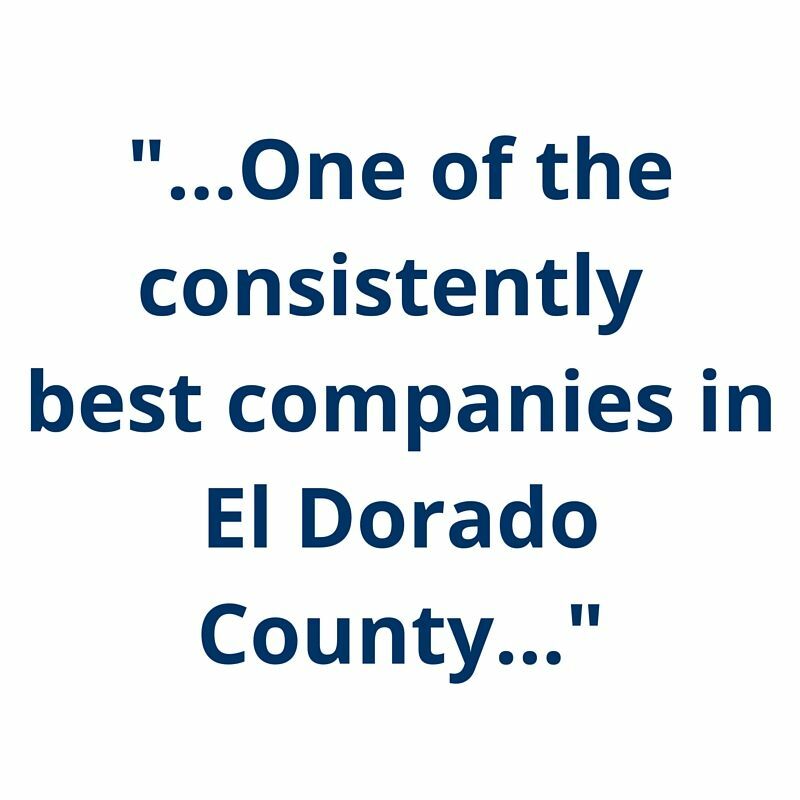 Your company has been one of the consistently best companies in El Dorado County for the past 10 years. Since I live in Rocklin and don’t know any contractors in the Placer County area I was happy to see on your web site that you have completed work in the nearby vicinity. After acquiring my 3 bids I was pleasantly surprised to see that you were just a few hundred dollars above the lowest estimate. Quick, clean, efficient, and professional are the words to describe your employees. They left my yard cleaner than it was previously. My wife said the gentleman that installed the gutters was the most polite person she had ever met. The quality of installation was outstanding and the Owens Corning product has helped to make my house the nicest in the neighborhood. I wanted to tell you thank you for all the hard work and kindness, not only your office provided, but the workers who came to my house as well. Most polite bunch of young men, especially the foreman (can’t remember his name). I was looking for a roof for almost 8 months. I had many people give me over the phone estimates, something I wasn’t too comfortable with. I did get one written estimate with all sorts of clauses stating what could happen, what might not be covered and very over priced for a new guy in town that didn’t have many local references. Then I saw your sign at a property getting a new roof. I called immediately and had a packet dropped off at my door within 2 days. I didn’t call you because the packet seemed so fancy and had many choices, with beautiful pictures of types of roofing, etc. My husband and I both thought “way too expensive for us”. I couldn’t have been more wrong! A couple of days later I received the written estimate and I was amazed at the pricing along with the way it was written up. It was exactly what I told you I was interested in. We immediately called you and set an appointment to come in and make a decision on our roof. The other companies didn’t even give me a choice of roofing, let alone a color. I didn’t even know of the amount of choices I had. I ended up with a beautiful forest green roof, exactly what we wished for but thought we couldn’t afford, at an amazing low price compared to what I was told by others. $6,000.00 plus, was the magic number for most roofing companies. Your price was much less. We want to thank everyone for such a friendly, professional experience. 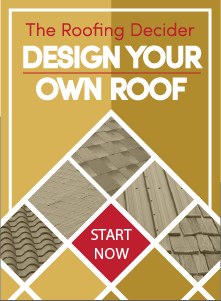 As well as a new beautiful roof at an affordable price. I stare at it every day I drive up my long driveway. Mind you all our neighborhood commented on how great our roof looked. Just wanted to send a short note and let you know how very pleased I am with the roofing job you did on my home. From the start when I received the estimate, I was comfortable with the information that was provided to me and with Jack’s professional manner. As I needed to set up funding and wanted to wait until winter had come and gone, I asked to schedule somewhere in June 2003. Even though the price was quoted in October 2002, the estimate was held as originally quoted. I might note that the estimate was reasonable and so well presented that I did not obtain any further estimates. After I scheduled the job, the material arrived, two days later, the foreman, Shawn and another man stopped by to see if everything was ready and to give me last minute instructions. On the morning of the job, the men arrived right on time (6:30am) and went straight to work. The job was completed by 11:10am. Besides the roof, my old vent was replaced with two new vents, all the hardware on the roof was repainted to match the roof and a flashing was installed on the edges of the eaves. Before the crew left, they cleaned my gutters, picked up all the debris and took a leaf blower and cleaned around the whole house. Jack told me that his dump truck would come around 1:00pm and pick up all the litter left behind, by 1:30pm the truck arrived and it was gone. It actually looked like no one had even been there that day! Needless to say, I’m impressed!